One of the most haunted locations I was ever in was torn down recently. It was the old rest home near Fallston North Carolina called, " The Unique Living Center ". I saw more ghost activity and paranormal activity at the Unique Living Center than I ever saw anywhere else. It was in the old lobby of the building that a very solid feeling ghost brushed between me and a young friend of mine. I had never felt a ghost that felt that solid. As it brushed between me and my young friend I saw the hair stand up on the back of the neck of my young friend. I felt the hair stand up on my arms. At about that same time we got one of the most unique recordings of an older mans voice saying " Oh God Please Help Me "
People can say what they want to but I can tell you that ghosts do exist. I have seen them and I have felt them. I have seen ghosts all my life and I'm here to tell you that if you're seeing ghosts you're not crazy. Ghosts are real and they are almost every where. 99 percent of the time a ghost is not going to hurt you. It can scare the hell out of you but its not going to hurt you. Let me state here for the record that there are ghosts and spirits that used to be living breathing human beings. Ghosts are not demons. No indeed. There are spirits trapped for one reason or another right here on earth and you can experience and see them. There are ghosts here on earth who feel that they have unfinished business here on earth and they are staying here on earth or at least their spirits are trying to finish what ever it is they feel they must complete before moving on. Residual hauntings is where the same thing happens over and over. For instance I know where an old woman sweeps the porch over and over and as a ghost she has been doing it for 150 years or more. She can not interact with you. She just keeps repeating the same actions over and over again. In intelligent hauntings the ghost can interact and talk or communicate with you. These are also the ghost that may play tricks on you. I lived where a playful ghost would take things and later put them back or put them somewhere else. I live in a house currently where there are at least two ghosts all the time and sometimes three. One of these ghosts loves to play tricks and scare people. I had three friends over one day during the day time when a quilt I had on the back of a couch crawled down off the couch and then crawled down the hall and into a back bedroom. Two of my three friends ran out the door got into their car and drove away. One of my friends left slower but has not been back inside my house. Can you even imagine what they must have thought. I can tell you that ghosts are very real and do exist. Ghost I Saw When I Was 4, Over 61 Years Ago. 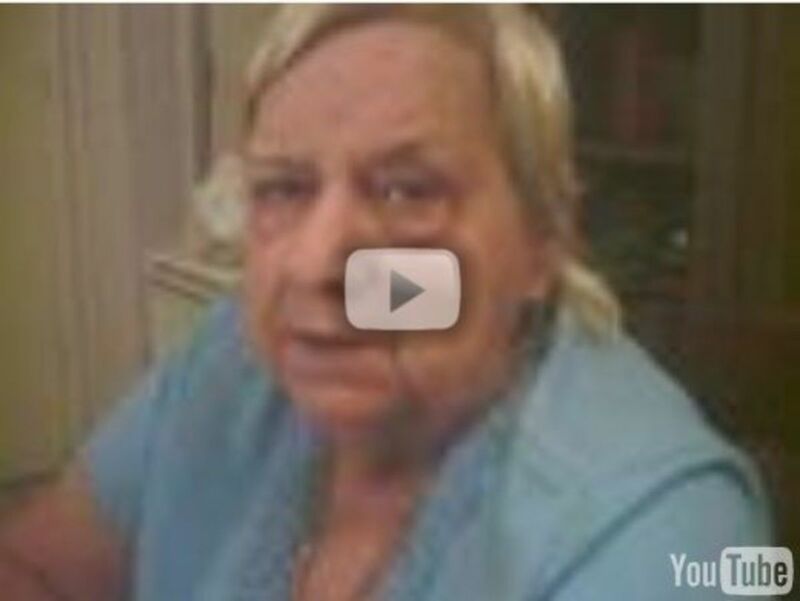 I was 65 on May 11th, 2014 and I have seen ghosts and paranormal activity since I was age 4. I saw the first ghost i ever remember seeing when I was out walking with my grandfather Grady Propst. Me and him observed a lady sweeping a front porch on an old house that was almost falling down at that time. The house is no longer there but people still often tell of seeing a old lady sweeping with a broom in that same area even today. I know that she was a woman who died there on that property waiting for her three sons to come back from fighting in the Civil War. They were all three killed in the Civil War at or near Gettysburg and never did return to their home in North Carolina. 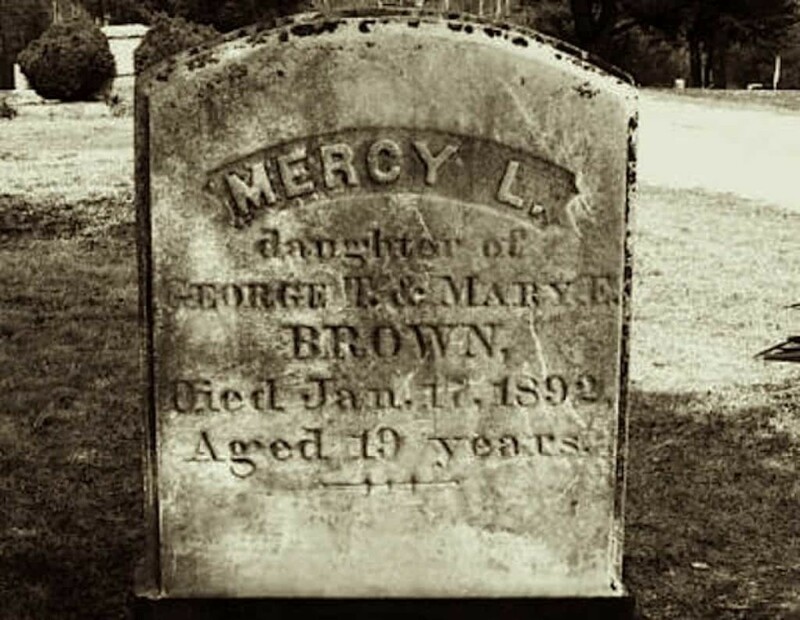 About three years after the end of the Civil War the lady, the mother of the three sons was found dead in her bed in the old house that stood there when I was a small child. I remember seeing her ghost until today. The one strange thing about her when I saw her that day back when I was 4 over 61 years ago is that her feet were not touching the floor of the porch she was sweeping. She was up in the air. I grabbed my Grandpas arm and said Grandpa and with that she vanished. And I can tell you that she was very real and very much there. Little Girl Ghost, A True Ghost Story From Fallston North Carolina. 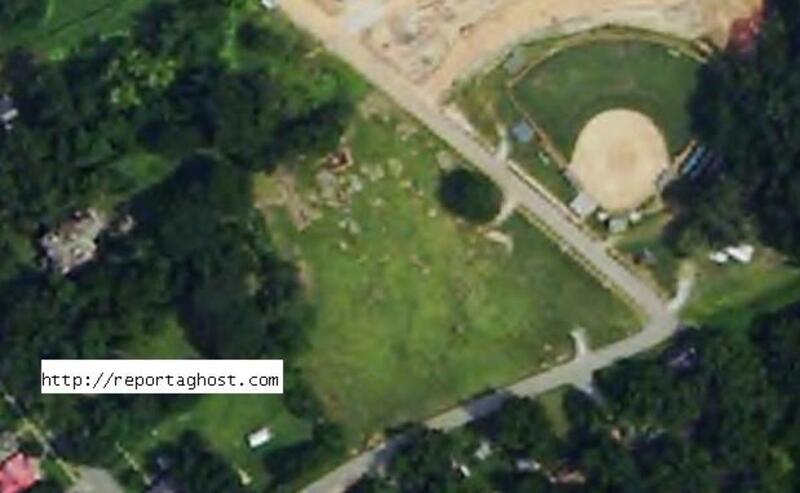 Just down the street from where I live there is a field and yard where the ghost of a little girl of 11-13 is often seen running and playing. Some people have also seen a little boy. The little girl ghost has been seen there for about 80 years that I can find out. She is often seen running and playing. She will also often set and watch people. If you approach her she will run away or vanish at once. And she is very real. Many people have observed her running around playing. She will also often just appear setting on the porch of people whose houses are in the 5 acre area where she appears. No one knows who she is or who she was in life. But she is indeed there. Just yesterday I watched her running and playing among some huge blooming bushes in a tree line. And other people saw her also. It is known that in 1907 that 11 year old Cindy Hyder was found in a well on the property. She had been assaulted and strangled to death. Her body was then thrown in a well on the property that was filled in not long after she was pulled from it. I think it is this little girl that people including myself see running and playing. But we have no picture or any way of determining if the little girl ghost is Cindy but I believe it may be. As you drive along 182 between Polkville and Ellenboro North Carolina you will come to a cross roads where Highway 182 crosses the Newhouse road. There is a old closed down store on the left hand side of the road going towards Ellenboro and a old falling down farmhouse on the right. In 1922 one brother accidentally pushed his brother off the back of a cotton wagon almost at the center of that cross roads. The young man of 22 was killed when the wheels of the cotton wagon ran over his body. He was carried over under a tree at the side of the road there where he died a short time later. Over the years many people driving at or near the cross roads there have seen a young man in overalls standing in the road. If you stop he vanishes at once. Many people have stopped for fear that they struck the young man with their car only when they look for him he is never there. If you think your house is haunted and you have strange things going on then start keeping a journal and document what you are seeing or experiencing. Write down as many details as possible. Be sure to write down the time something happens along with exactly what happened or what you saw and be sure to include outside weather conditions. The more details you can include the better. The first thing to do when you think you've seen a ghost or paranormal activity is to look for a logical reason to explain what you just saw or heard. Can you yourself recreate what just happened. Could it have been caused by a reflection or a trick of light. Even car lights from a long way off have caused people to think something was there when really nothing was there. Animals like a raccoon or field rat in an attic or crawl space can have you convinced that ghosts of children are running in the attic. Always check out everything with a skeptical eye looking around for animal signs like animal droppings or chewed materials. Air conditioners or heaters going off and on can cause doors to open and close on their own or cause loose fitting windows to pop. Look for logical reasons for sounds. Pipes and plumbing in old houses especially can cause sounds you would never think possible. So always look for a logical reason for what is going on. try to do your own research and find out as much about the history of your house as you can. Go to your local newspaper or library and do a search on your address and all the addresses with in a mile of your house. Was there a murder in your house or in the house next door. Are there ancient graves back there in the woods behind your house. Did you know that in most states now that a realtor must reveal to you if it is thought that a house you might be interested in is haunted. 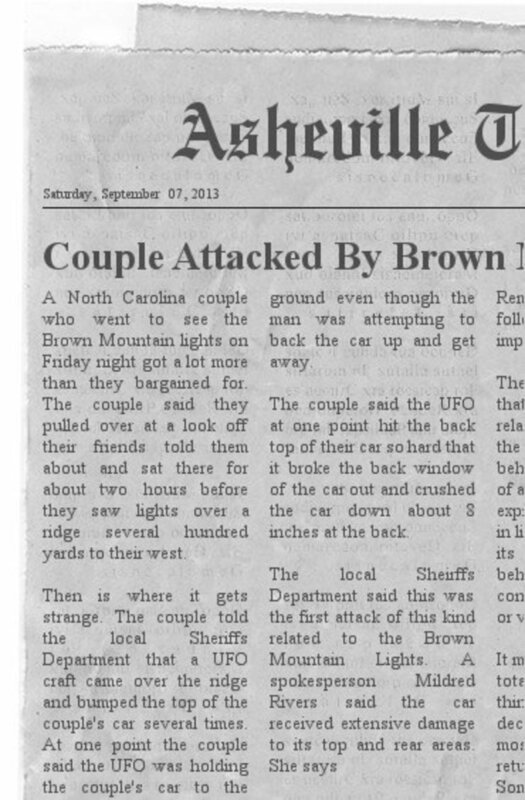 You can often go to your local newspaper office and search their archives for anything that may have happened at your house or in your neighborhood. If you hear a story about your house or a house near by fact check the story. Is the story true or is it an urban legend. Can you document that the story being told actually happened. Quite often stories get added to or changed around so you need to do careful research and see what you can find out. 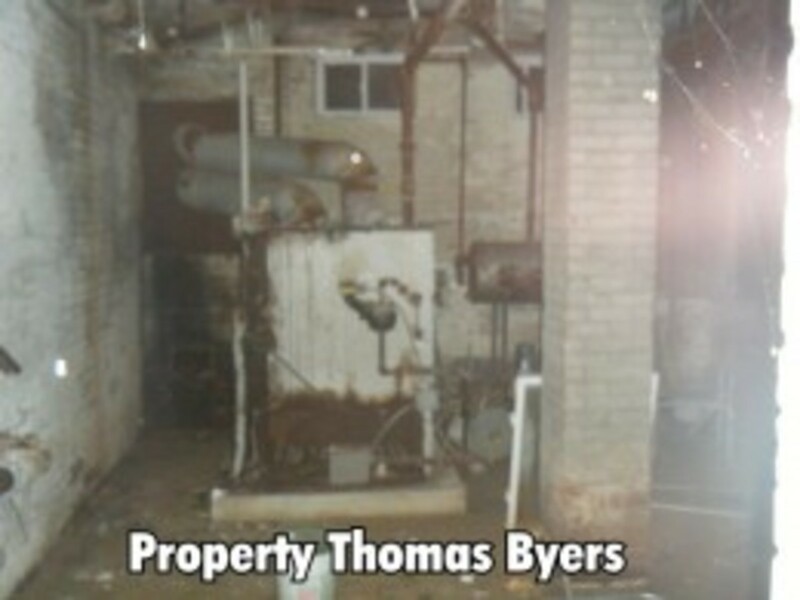 Ghosts and paranormal activity will often occur where there are limestone deposits or running water. No this doesn't mean that there must be running water or limestone deposits at or near your home. Just that high levels of paranormal activity have been observed near running water and limestone deposits. Animals Will Often Let You Know A Ghost Is Around. Quite often your cat or dog will let you know that something strange or paranormal is going on. I once lived in a house where the cats would not go downstairs into the bedroom located on a lower level of a building I lived in. I was shocked and amazed when I discovered that a brutal murder had taken place in that downstairs bedroom over one hundred years before. How did the cats know. I don't know but they did. Something was down there in that downstairs bedroom that the cats wanted no part of. Near Ellenboro North Carolina is a large ancient American Indian Burial Ground. 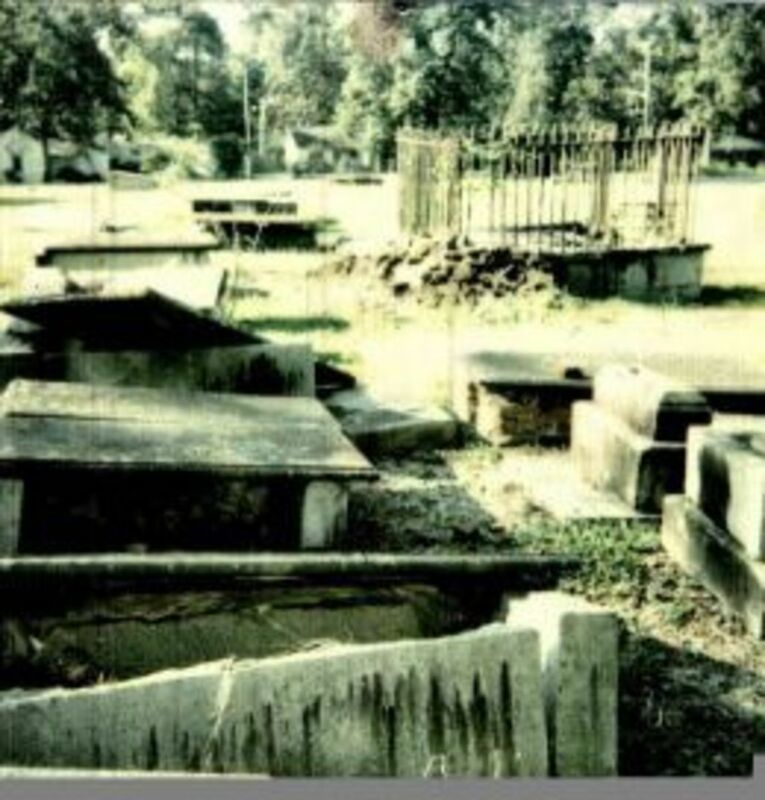 People who have houses as far as five miles away from those graves often experience strange paranormal activity. 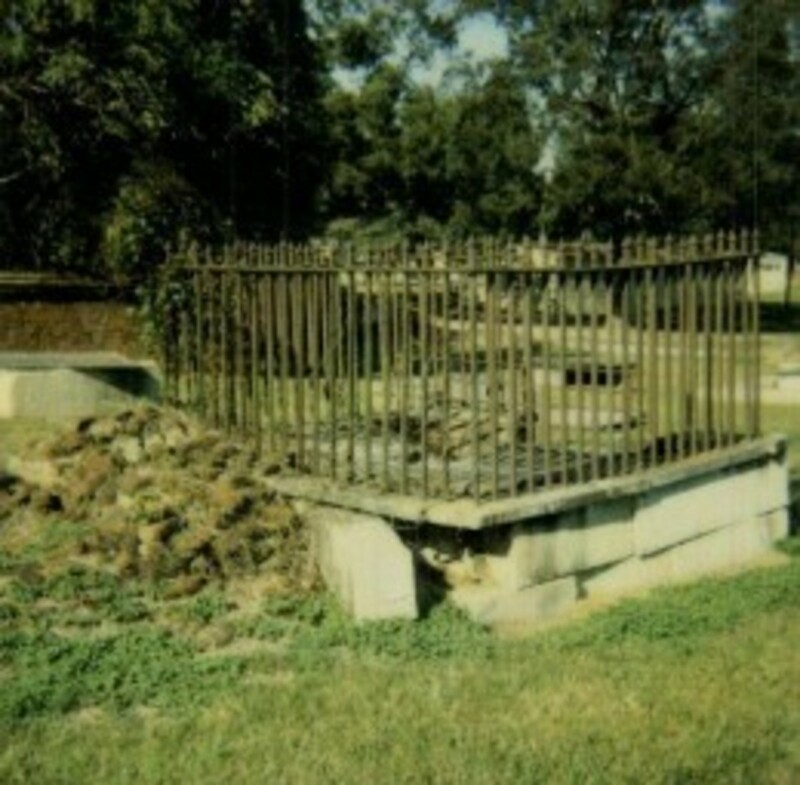 I know of many other places in the United States where there are American Indian graves where strange and unusual activity does occur. So if you do have ancient American Indian burials on your land you may experience strange or unusual paranormal activity. EMF's , Power Lines And Etc. A high EMF level in a house or house basement can cause you to experience strange feelings even feeling like something is watching you even when there is nothing really there except for high EMF readings. 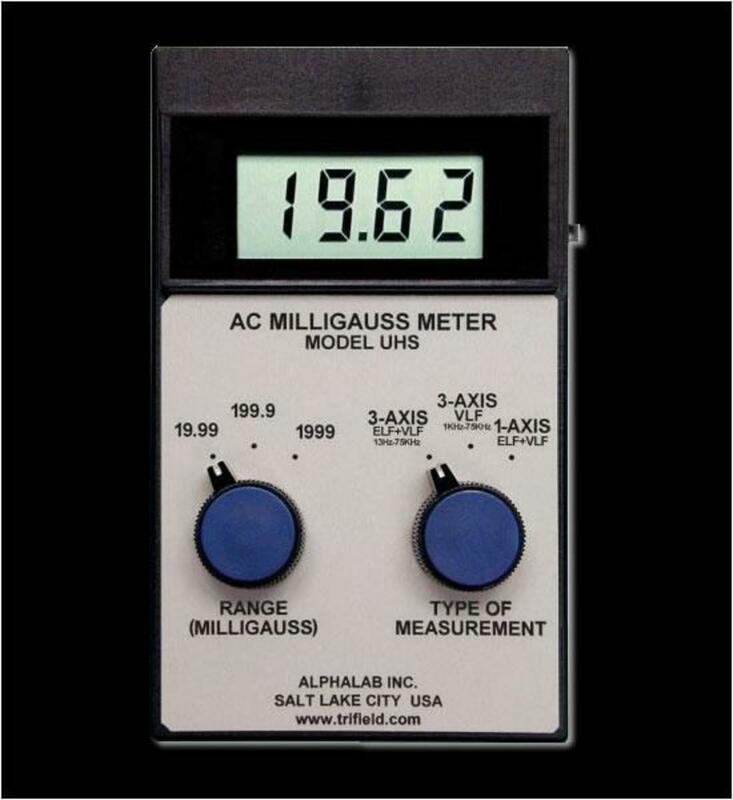 If you don't have an EMF meter have someone to come in and check the EMF levels throughout your house including the attic and basement. Also don't forget the garage. If you have large high voltage power lines near your house they can also affect you and cause you to experience nausea or feel like someone is watching you. So be sure to check everything out carefully. Shadow People, Why And What Are They? You look to the right or left and you suddenly see movement out of the corner of your eye. What was that? Or you see a dark figure shaped shadow dart across the room or you look over and a shadow person with fiery red eyes is watching you. What in the hell is that. Is it an alien or a creature from another dimension. No I think Shadow People are the spirits of people who once lived here on earth just like you and me. I can't explain why they are so different from a normal ghost but I still think they are a ghost. And while Shadow People can be really scary I've never heard of one actually hurting anyone. They can scare the hell out of you but they aren't going to hurt you. Shadow People come in all shapes and sizes. Some people see them as simple shadow outlines that look human while some people see them wearing hats with fiery red eyes. Yes I know they are scary but they really are not going to hurt you. Click one of those links above and you can read a lot more about Shadow People. Ghost Animals, Do They Or Do They Not Occur? I can tell you that yes ghost animals do occur. At one time I actually got to meet Mr Jeeves the infamous ghost cat of St Augustine Florida.So if you think your Fluffy or Fido might still be with you then you just may be right. There are tens of thousands of documented stories of ghosts of cats and dogs. Robert Eugene Otto who was a Key West painter and author once owned the doll known as Robert the Doll. The doll is said to be cursed with a voodoo curse and is said to be possessed by evil spirits. In 1906 a woman who was upset with Eugene's family gave him the doll. It is said that the woman was a powerful voodoo practitioner and that the former housekeeper practiced black magic. It soon became very apparent that something was very wrong with the doll. Neighbors told of seeing the doll running from window to window and looking out when the family would be out of the house. Eugene's parents told that they would hear their son talking to the doll and they would hear a small weird sounding voice talking back to their son. The parents said they would hear Eugene scream out in the night and they would rush to his bedroom and find furniture turned over and pictures thrown off the walls. The family said they would sometimes hear the doll give out a terrifying giggle and that the doll would run from room to room. Eugene died in 1974 and the doll was locked in a trunk and left in the attic until a new family bought the house. The family had a 10 year old daughter and she found Robert and took him to her room. It was not long before the doll was terrifying the 10 year old girl and scaring the family. At one point the father tried to burn the doll by pouring gasoline on it in the back yard but when he struck a match to it the doll ran into the near by ocean. No damage from fire or sea water can be seen on the doll. More than thirty years later the family still tells the same story that the doll was alive. The doll is now in the Fort East Martello Museum where you can see it if you dare. Museum employees tell of finding the doll in various locations around the museum but the doll is now in a glass case. 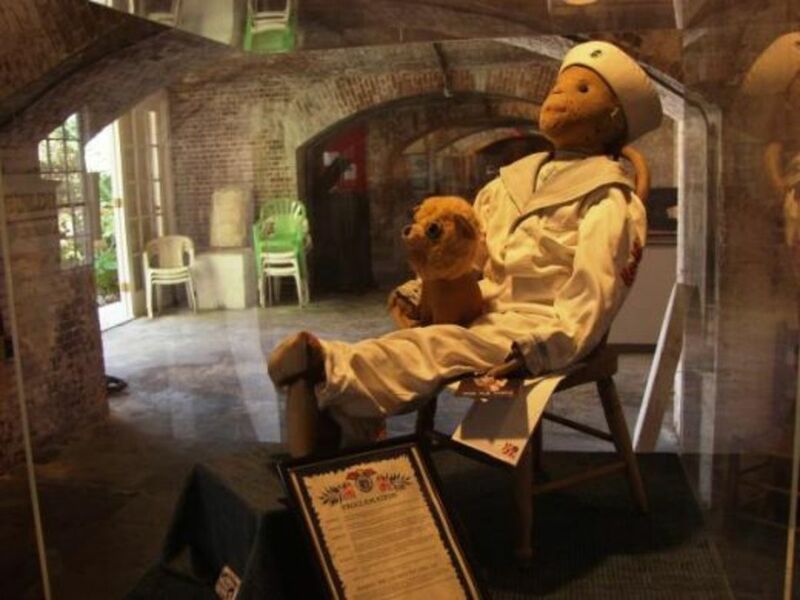 It appears to be wearing a sailor suit and in 2001 the dolls hair was tested and the test said that the dolls hair is human. Tests on what appears to be a large human blood stain on its back were inconclusive. Robert the Doll was the inspiration for the movie Chucky. No one knows who made the doll. A former museum employee still tells the story that the doll attacked him one evening when he was working in the museum late during a thunderstorm. The man who is now in his 70's never returned to the museum after he was attacked by the doll. He asked us not to publish his name and we agreed. He said he was setting at a desk in the main part of the museum when he saw the doll run across the room and hop up on the end of the desk where he was setting. He said the doll was very much alive and was giggling a very weird laugh and told him tonight you die. The man said he ran from the museum and never went back to work there again. The next morning Robert the Doll was found laying in the floor of the museum. I don't know but I have stood in front of Robert the Doll and felt something that felt like pure evil. I was allowed to hold the doll and I quickly handed it back to the person who had handed it to me. To me it felt like heat was coming off the doll. I would not want to handle it again. I do think it is possibly possessed by evil spirits. Never mess around with the occult or a Ouija board unless you know what you are doing. You can tap into something evil that you can't deal with. Use Care And Caution With A Ouija Board Or The Occult. I warn people all the time. Never play with the occult or Ouija Boards. You can with out meaning to open a doorway to the other side and let something really nasty get loose. Once it is loose you may not be able to put it back. So proceed slowly with caution. A Ouija Board should never be played with. Please Vote In Our Poll About Ghosts. Have You Ever Seen A Ghost Or Experienced Paranormal Activity? No I Have Not But I Still Think Ghosts May Exist. I See Ghosts And Paranormal Activity On A Regular Basis. Help I Have A Ghost In My House, What Should I Do? First of all let me say you're not crazy. I have people contact me almost every day saying help I think I have a ghost in my house. Their experiences with the paranormal range from ghosts that like to play tricks to full body appearances that are trying to run people out of their homes. A lot of these people before the current event started happening to them did not believe in ghosts or paranormal activity. They moved into a house and suddenly they discovered that not only are ghosts real but that they are now having to deal with a ghost on a daily basis. Some of these people are horribly frightened by what is going on and they are searching for a way to deal with the situation they find themselves in. You Suddenly Discover That Ghosts Are Real And In Your House. It happens to people almost every day. One day they don't believe in ghosts or paranormal activity and then suddenly they have a ghost in their house and it slam freaks them out. Many of them have invested time and money into a home they love but now they suddenly discover that they are not alone in the house. Their dream home has suddenly become frightening to them and they are seriously looking for a solution to the problem. After answering thousands of emails I decided to try to come up with an online guide for people who do need help with a ghost or paranormal activity. Know that while some ghosts can be convinced to move on that some aren't going anywhere. That ghost may be right there in the house as long as you are. It may still be there long after you are gone. So just know that you may have to put up with the ghost and live there in the house with it. 1. If your hearing a sound that comes from an attic or overhead crawl space or from out of a basement get someone to go with you and with a bright flashlight if there is no electrical light and see if you can find out the source of the sound. Sometimes it is discovered that squirrels, raccoons, mice, or rats is what is making the sound you are hearing. I spent hours in one house before I discovered that field rats running inside the ceiling was making the sound that sounded exactly like running children. A little girl had fallen to her death many years before and the running rats sounded exactly like a small child running. Make sure that you check out the area where the sound is coming from thoroughly. Look for animal nests and droppings. If you find animal nests or droppings take appropriate action or call in a pest control company. Cover attic windows with screen wire to keep out squirrels and bats. If you eliminate all natural causes for sounds and you still hear sounds then you may have something paranormal going on. 2. If a door is moving or opening and closing on its own again look for logical solutions. Is your heat or air conditioning going on or off when the door opens and closes. If the garage door in your house is opened or closed does it cause a draft or a rush of air that can cause doors or windows to move or rattle. Always look for logical solutions before you decide its something paranormal. 3. Always try to find out anything natural that can be creating a noise you are hearing. Often wires, radios left on low accidentally, kids toys, or other things can be making a noise or a series of noises or repeated noise that can easily be mistaken for a paranormal noise. 4. Once you have checked out a noise thoroughly and you have determined that there is nothing making the sound or sounds that you can explain then you need to document the sound and the best way to do this is to purchase a digital voice recorder and try to get the noise on a recording. Have someone else come in and listen to the sound and see if the other person hears the same thing you do. Once you have the sound recorded check down at the bottom of this page and email me and I'll be glad to listen to it and see if I can help you determine what it is you have recorded. If you get a photo or photos of something you can't explain I will also be glad to look at those also and will try my best to help you figure out what you have taken a picture of. 5. If you are experiencing a ghost or paranormal activity in your home you should try your best to document everything you can. You can and should keep a journal and write down everything that you observe in the house. If other family members will have them to write down everything they see, hear, and observe. If you have a digital camera take as many photos as you need to. If you have a digital voice recorder record any sounds you hear. The more you can document the better off you will be. If you take photos that you think show a ghost or something strange contact me and I will be glad to take a look. See the instructions below on how to contact me. 6. Watch your household pets for strange activity. If you have a dog or cat quite often you will see them do strange things like for example a cat may appear to be watching someone you can't see. Take photos in the direction of a dog or cat that is acting strange. You just may be surprised at what shows up in the photo. Animals can often see things that we as humans can not see. 7. If you moved into an older house that has been around a while and you see a ghost or experience paranormal activity you should start trying to find out everything you can about the history of the property. If the previous owner knew they have a ghost they are required to tell you this in some states. If you are experiencing a ghost or paranormal activity you need to do in-depth research into who may have lived and died in the house or on the property. Did something tragic happen in the house or on the property. Quite often where you have had tragedy occur in the past you will have a ghost. In some houses you may even be able to get a good ideal of who the ghost is that is haunting your house. 8. If you have a ghost in your house or some form of paranormal activity you may want to have a preacher or priest in to bless your house. Don't be duped into paying anyone to cleanse your house of spirits. If they ask you for money it is most likely a scam. I personally will not deal with mediums that ask for a fee. I have seen so many people get taken advantage of this way. So proceed with real caution if anyone asks for money. Ask them for references and check out those references. Especially if they ask for you to pay them. Real ghost hunters will never ask you for money. People who ask you for a fee to cleanse your house of ghosts are only after one thing and that is our money. So tell them your not interested and move on to someone who won't charge you. Use extreme care to not be separated from your money. 9. If you do remodeling in an old property you may stir something up. If you start seeing something strange or start experiencing paranormal activity right after you start remodeling I suggest going in and softly tell the spirit you suspect is there that you are only remodeling the house. Introduce yourself and tell the spirit you love the house and you are only trying to improve the property. Quite often if you will approach it this way everything will work out fine. 10. People who do not know exactly what they are doing should never play around with a Ouija Board or Spirit Board. Do not play around with something you do not understand and know about. I have seen people make serious mistakes with Ouija Boards and open doorways that evil spirits can use to cross over into our world. So not play with a Ouija Board or the occult. Leave anything like this to people who are fully aware of what they are doing and know how to protect themselves. 11. Do you have objects being moved around or cabinet doors being opened or closed when you're not there. If so then spend a hundred dollars on a deer trail camera and use it in your home. Set it up so that it is motion activated and leave it running while your gone. Check the photos or video out carefully when you come home and see what you have captured on tape. If there is a Walmart store near you then you can purchase a deer trail camera there or have them to order one for you. 12. Keep a journal. Again I say keep a journal. Write down everything that goes on and then you can go back and read your journal and get some ideal of what is going on around you. You can see patterns develop this way. So a journal is very important. Write down everything that happens that appears unusual then later go back and ask yourself if there is a logical explanation for what just happened to you. If not then you just may have a real ghost. Mandy The Doll, Is It Possessed By An Evil Spirit? 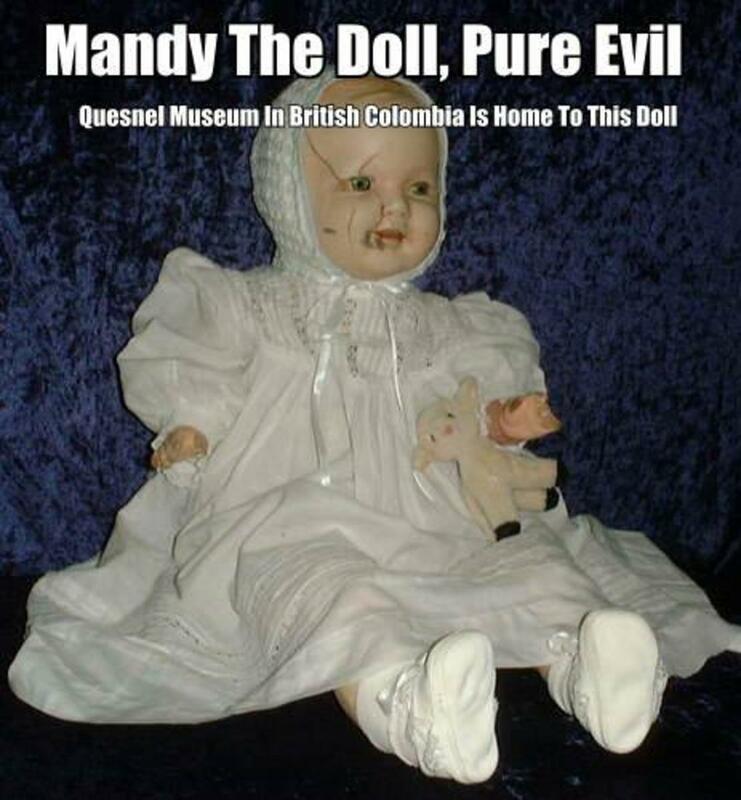 Mandy the doll is said to be over 90 years old and she was donated to the Quesnel Museum in British Colombia Canada in 1991. Mandy is an antique porcelain doll believed to be over 90 years. It is believed that the doll was manufactured around 1910 in England or Germany around 1910. People say that you will often hear the sounds of a baby crying where ever the doll is. Other people claim that they hear a very evil adult male laughing coming from the direction of the doll. Other people say they see a strange looking shadow person above or near the doll with fiery red eyes and a hat. After the doll was donated to the museum in 1991 workers at the museum said that strange things stared to happen like peoples lunch bags would vanish from the refrigerator only to show up days later in some odd or out of the way place like a desk drawer or inside a power electrical box. At about the same time lights would turn off or on by themselves and people would claim to smell something burning or a strange smell of sulfur near the doll. One priest who came in to bless the doll said that an evil spirit is inside the doll and that the doll is pure evil. What inhabits the doll or why is not known. Some people have gone as far as to claim that they have seen the doll crying tears of pure blood. One man claimed that when he touched the blood that the doll was crying that it burned his fingers badly but when he washed the blood away there was no sign of anything being wrong with his fingers. He said that when the blood touched his fingers he heard a evil male laughing and he said he saw a black shadow figure with bright fiery red eyes staring at him. If you are experiencing a weird feeling or something strange is going on say in the basement of your home the basement and the rest of the house needs to be checked with a EMF Meter. If electrical wiring is not properly shielded high EMF readings can and do occur. It is now believed that very high EMF fields can even cause cancer. High readings can definitely make you feel strange and can cause you to hallucinate in some cases. If you live at or near high voltage power lines you can have a major problem. So always test or have your homes EMF readings taken through out your house. Some people are more sensitive to high EMF readings than other people. Televisions, radios, and etc in the bedroom can contribute to a high EMF reading. In order to have some ideal how high EMF readings are effecting the people in your house you must have the readings in your home checked or check them yourself. Over there to your right is a good quality EMF meter for sale. Let me tell you something here. It is a generally accepted theory that when EMF levels go up for no reason that a ghost may be draining energy from batteries, or other electronic devices in the area to be able to manifest its self. If there is no natural cause for a EMF spike and suddenly the EMF level around you goes up suddenly it may be that a ghost is about to do something in the area or it may put in an appearance. It is a good time to be taking photos around you with your digital camera or ask questions while you're taping with an electronic voice recorder. You never know what you may catch. It is at this time that EVP's are often recorded. So be sure to have your Digital Recorder turned on and taping. You never know what you may record. Always go back and listen to your digital recordings carefully. You never know what may be recorded that you did not hear when it was recorded. Always ask questions while you are recording. Then later listen carefully to see if you got an answer to a question. You should never trespass when you are ghost hunting. Unless it is a public location that is not closed or posted then you most likely need permission to be on the property. Especially at night when ghosts are likely to be around. You need to be professional and you need to contact the property owner and ask permission before you go on a person's property. If at all possible get permission in writing so you can show the police if they show up and want to know what you are doing. Always be respectful of other peoples property and never litter. Better still take a trash bag along and pick up any litter you may find. Always be sure that everyone in your party has photo ID or a drivers license on them. Be sure that everyone in your party acts professional and respects the property your on. Take pictures but don't take souvenirs like a brick or piece of wood. Never write or mark on anyone's property even if someone before you already has. Always respect other peoples property. Here are a couple of Hub Pages that I have done on Shadow People. 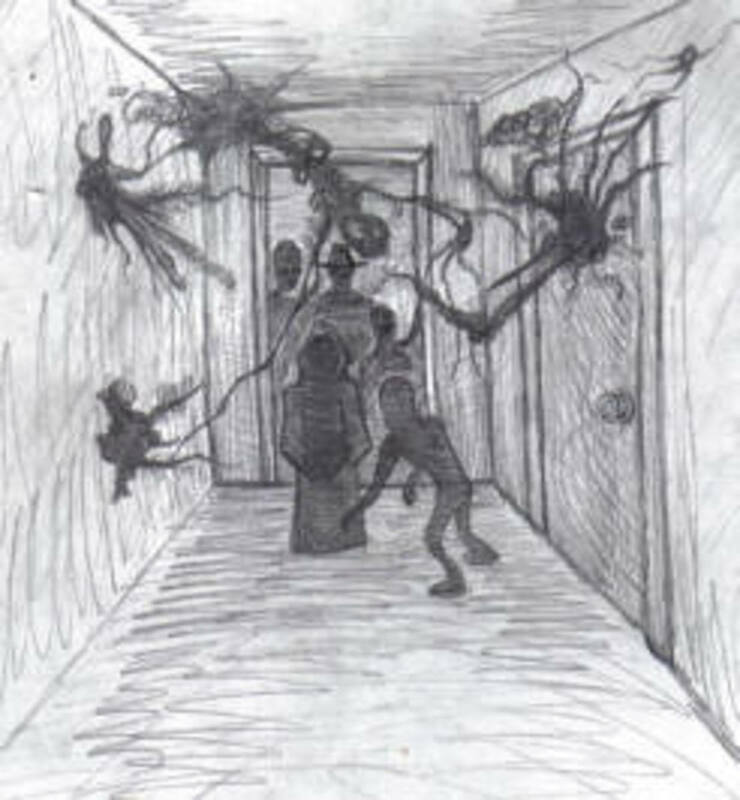 If your interested in shadow people then you need to check out these two Hub Pages. If you are experiencing real ghosts or paranormal activity you should always be respectful of the ghost or spirit that you are seeing. Never do like the guys on TV and try to piss off a ghost. Always and I mean always be respectful of the ghost or spirit. That ghost or spirit may be the person who used to live in your house. The ghost or spirit quite often doesn't even realize that it is dead. Be sure that you know and understand what the differnce is between an intelligent haunting and a residual haunting. This is one of the best orb photos I ever took. I do believe these orbs are paranormal in nature. 1. If you have a digital voice recorder you can try your best to record a evp ( electronic voice phenomena ). Ask questions in an area where you know or suspect a ghost is around. When you ask a question pause to allow for an answer. You should keep up the session for at least thirty minutes. Even if you do not hear any answers when you ask questions go back later some where quite and listen for voices you may have recorded. You just may hear an answer to one of your questions. 2. Do not show fear. I know that's a lot easier to write down than to do but you should try. Never ghost hunt alone. Always have a partner on your ghost hunt. Be serious about what you're doing. Don't taunt or make fun of a ghost or spirit. You don't want to cause something bad to happen. When you are ghost hunting you should be professional and serious about what you are doing. It goes without saying that there should be no horseplay. 3. Always say a prayer of protection before and after a ghost hunt. The prayer to St Michael the Archangel is the perfect prayer for protection. Close with a prayer asking that God close any doors that may have been opened and that God bind the spirit or ghost to its present location. Claim the protection of Jesus Christ. 4. Ghosts and spirits are not demons. I know you'll run into people who will claim that all ghosts or spirits are ghosts. That is just not true. There are many earth bound spirits that used to be living breathing humans just like you. And no they are not demons. Some people when they die are trapped here on earth for one reason or another. 5. A residual haunting is a haunting where the same scene gets played out over and over again and again just like your watching a video over and over. An intelligent haunting is a ghost that can interact with you. In an intelligent haunting the ghost may be able to answer questions you ask and may try to talk to you. Some ghosts do not know they are dead. 6. Always check out and walk through any place your going to look for ghosts in the day time before you go there at night. Be aware of your surroundings. Check the area out completely in the day time so you'll know what to expect when its dark. 7. Keep a journal with carefully detailed notes when ever you are ghost hunting. Record the outdoor temperature and the weather conditions. Write down what you feel and what you observe. Do a sketch of the area and note where any lights are that can possibly shine into the area where you are. 8. If you or a member of your group feels like something wants you out of there then leave the area. But before you do record the EMF level in the area. Come back when its daylight and take another EMF reading. Look for a logical cause for a high EMF reading. Are there a lot of wires or power lines overhead or near by. I know I keep saying it but always look for logical real causes for something before you start looking for a paranormal answer. 9. If you suspect a ghost is around making noises ask for the ghost to repeat the noise. Often this will work and the ghost may repeat the noise. I quite often will ask if the ghost can knock twice for me. And yes it has happened. I have had ghosts knock right after I ask them to. Don't be scared but do try to record everything on a digital voice recorder. Always try to document everything you can. Please Choose The Answer That Best Fits You And Your Situation. I used to never believe in ghosts but I do now. I believe in ghosts and paranormal activity. I have seen some strange things but Im still not sure what I believe. I experience ghosts and paranormal activity on a regular basis. I Wish I Had All The Answers For You. Your setting they're reading this and your sure you have a ghost or paranormal activity going on in your house. Yes I know how you feel. I live in a house currently where there are at least three ghosts or spirits. I see them on a regular basis and I know they are here. I was 63 in May of 2013 and I have seen ghosts and paranormal activity since I was 4 years of age. I remember when I was 4 that I saw a ghost of an old lady in a gray dress sweeping her front porch. I remember that moment when I realized her feet were not touching the porch. I remember grabbing the hand of my grandfather who was standing beside me. He told me its okay boy. When we got closer the woman vanished and an old broom she had been sweeping with fell to the floor of the porch. I remember me and my grandfather talking that afternoon about ghosts. I'll tell you something here that you may already know. There are people in the world who can see ghosts and other paranormal activity and there are people who can not. Why that is I don't know but I do know it to be fact. If you're seeing ghosts then you are one of those people who can see ghosts. I have seen two people in a room with me and one person saw the same ghost I was seeing while the other person saw nothing. Why I can not explain. I wish I could but I can't. If you have seen a ghost then you now know beyond a shadow of a doubt that ghosts exist. It really is something isn't it. No I can't tell you why the ghost has appeared to you though the ghost may have unfinished business left to do here on earth. If you knew the person while they were alive then the ghost may be trying to tell you something. It may be trying to give you a message. Think carefully. What could the message be that the ghost is trying to tell you. If you did not know the ghost while they were alive you may need to dig into the history of your property to try to find out why the ghost is there and what is the reason. Remember document everything possible and keep carefully detailed records. You can if you feel comfortable doing it ask the ghost to move into the light. It may or may not work. I'm pretty sure that I have encouraged ghosts to move into the light and move on to the other side. You can try asking a member of clergy in to bless your home. Some members of clergy will be more open to this than others. You can ask around at various churches to find someone to come in and bless your house. Notice the mist on the right in this photo. I often saw a shadow person in that area as did many other people. It was 24 degrees in this room when the photo was taken. 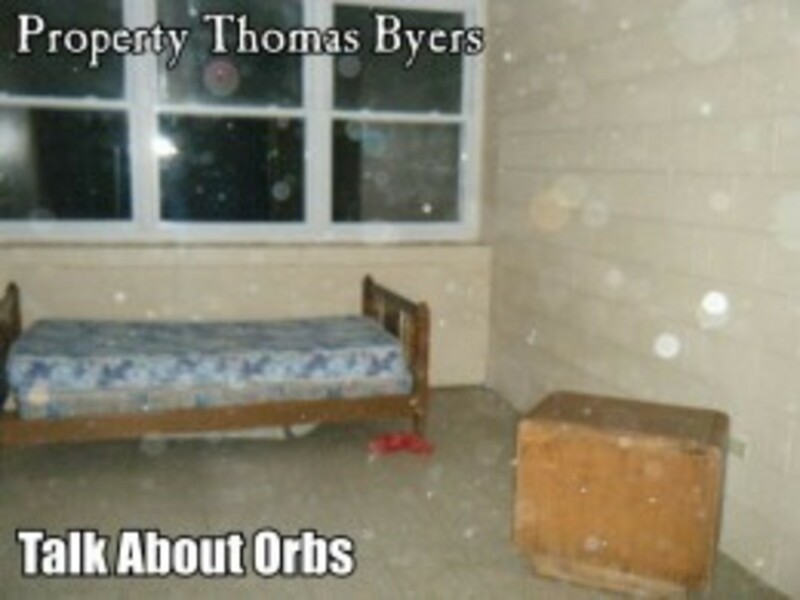 There was no dust or insects to create the orbs. 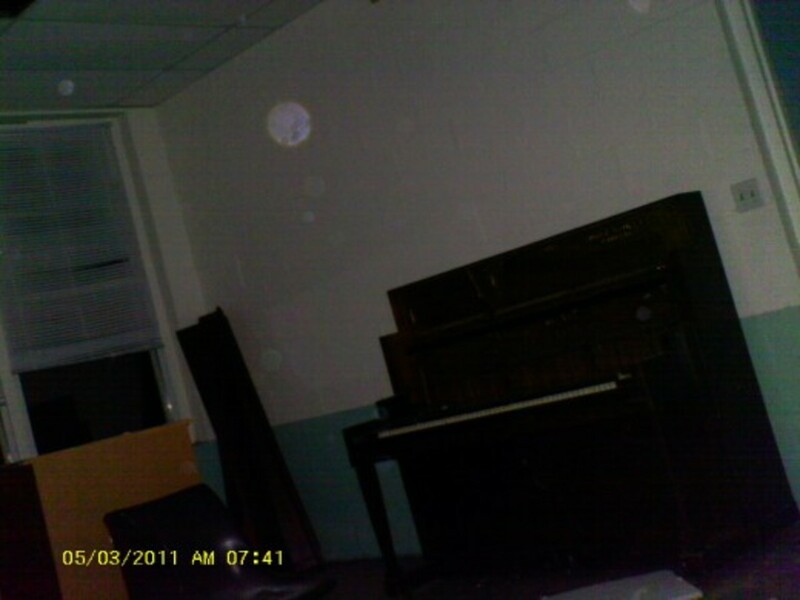 Notice the orbs in this photo. There was no wind and it was 17 degrees when this photo was taken so there were no insects. I Think I Have A Ghost In My House, What Should I Do? 1. As hard as this may be to accept there may be little or nothing you can do to get the ghost out of your house. If the ghost is really bothering you or a child I strongly suggest you get a preacher or priest to come in and bless your house. Sometimes this will work and sometimes it won't. But you never know until you try. 2. If you know or suspect you have a ghost in your house do as much research into the history of the property as possible. Try to find out if there have been deaths in the house or on the property. 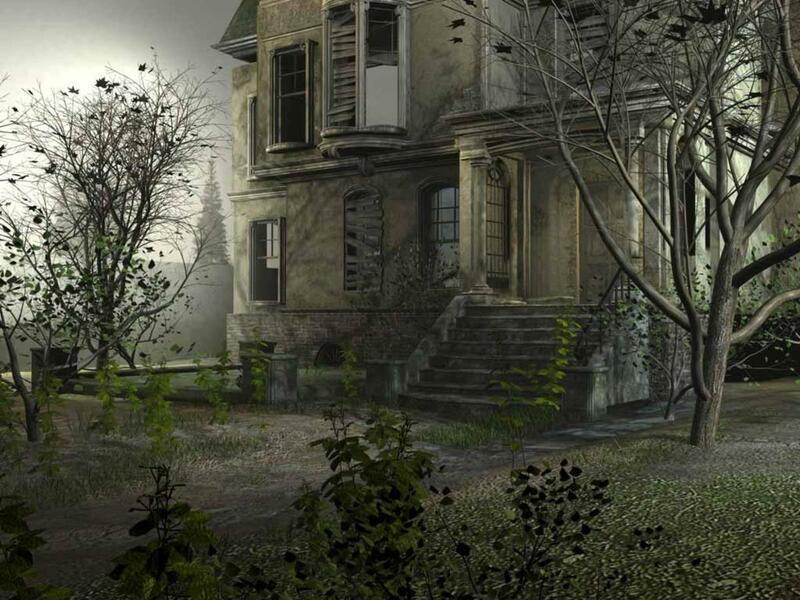 Ask the people who used to live there if they ever experienced anything strange in the house when they lived there. Ask questions of your neighbors. Does anything strange happen at their house. 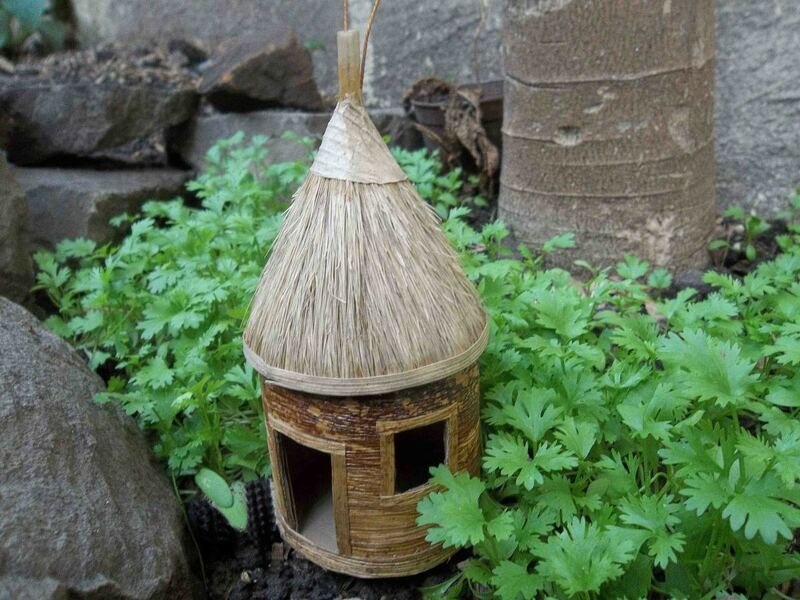 Is your home built on an ancient Native American burial ground. Could there be a cemetery on your property that you don't know about. 3. You can try to set down near where the ghost is most often seen and try to make peace with it. Tell it you are sorry it finds its self in the situation it is in but you aren't going anywhere. This will often help to settle a ghost down. I have at times also told spirits to look for a bright light and to move into the light. I really believe I have at times been able to encourage ghosts to move on this way. It's not guaranteed to work but it might. 4. 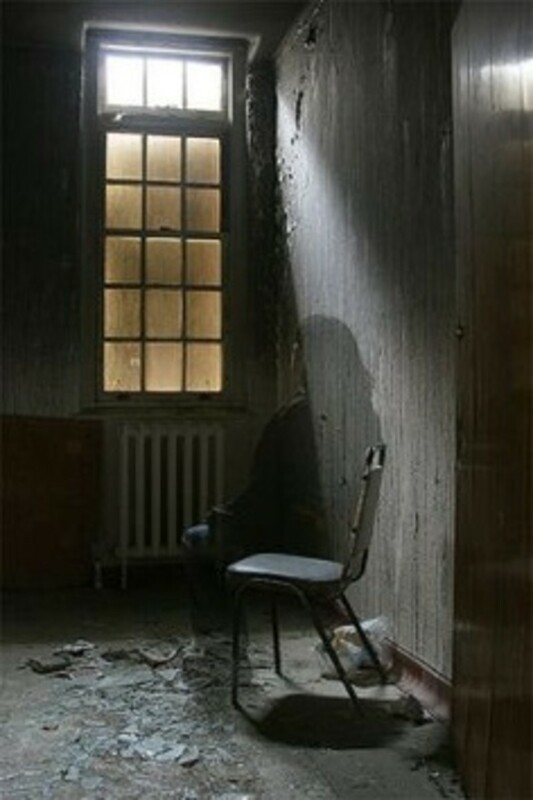 If you have a ghost or paranormal problem in your house and it's really getting the best of you then you are probably looking for a way to get help. The first thing you should do if you have a bad problem is to ask a priest or preacher to come bless your house. If you can't find one contact me through the email address at the bottom of this page and I will do my best to help you find someone in your area. 5. Okay you have a ghost or ghosts in your house. So what. I live in a house where three ghosts also live. I see them from time to time and they open and close doors and cabinet doors sometimes. My dog runs and plays with one of them. One or more of them moves objects around. But I have got to the point where it doesn't scare me. It startles the hell out of me sometimes but it doesn't scare me. I know that two of the ghosts here in my house are here because they feel they have unfinished business to do. One of the ghosts here comes to check up on me. You will find people who will offer to remove ghosts or paranormal activity from your house for a fee. Never pay anyone to remove a ghost or paranormal activity from your house. This is a scam and all you will get rid of is your money. 99.9 percent of people who want to charge you are scam artists preying on you and your problems. I hope you find peace. I know its hard to suddenly wake up one day and discover that ghosts do exist. Please Post Your Comments About, Help I Have A Ghost In My House? My dad passed over 20 yrs ago from cancer. .the night he died he wanted to talk to me but I never got the message. So we have unfinished business. Over the past couple of years I have accumulated some of his possessions. . And the more I collect the more he lets me know that he is here. . He is a joker and likes to knock things down. .and i smell his cigarette smoke. .my wife and I don't smoke. .im glad that he is around .. it's don't bother me. . Thanks for your great comment. It is appreciated. Wowsa, this is some scary paranormal stories. I have experienced and seen ghost's many times in my life. They are real as we are. Some stick around to attend to unfinished business, while others stay to help out their grieving families. 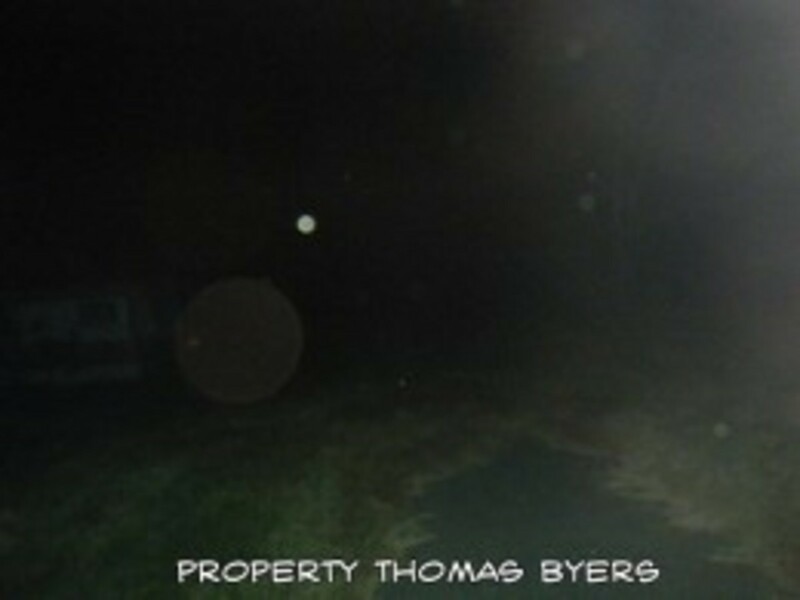 Very cool to find out your Thomas Byers. I am very aware of your work. Thanks for an incredibly interesting hub on ghost's and paranormal activity. Watch and listen carefully for a sign. It may be something small that you will miss unless you watch carefully. That is a good point. In his obituary it said he was a master carpenter , my friend said he might have had something to do with building the house? I'm just not sure what i'm supposed to do. It felt like he was trying to tell me something . Not really sure. I would start keeping a diary and make detailed notes. Could you have bought something at a yard sale , tag sale, etc that once belonged to this guy. I don't believe in a lot of medium stuff but I think a spirit was trying to contact me last night. I don't think this spirit is haunting my house but I do think they were contacting me. I'm not sure what to do or how to interrupt what happened to me. I had a overwhelming cold feeling come over me while sitting in my den on the computer. I had some wine so I was in a relaxed state. At first I thought it was maybe my mother or grandfather so I asked for a sign. I kept on having this overwhelming urge to look at the stack of papers on my husbands computer desk. I kept on looking for a sign and found nothing. I then came across an insurance agency ad with a mans name and picture on it. I then had to urge to google his name. When I did an obituary came up with a man with the same name....not the same guy on the ad. The guy died and lived in the same state as me and about an hour away. The name was not a common name either like "smith". What does this mean???? Wish I could leave comments near that interview. Sadly my phone is ignorant. Your very welcome and thanks for your great comment. This is full of information on the paranormal and how to deal with it. I haven't experienced the paranormal personally but have friends and family who have. I remember the day that paranormal researcher John Zaffis visited my college and talked about his collection of haunted trigger objects very much like the doll you mentioned. I'm not sure I would have even touched the thing. Thanks for sharing your knowledge with us! Thanks very much my friend, I appreciate your comments. Hi my friend great informative and interesting article on this subject. I have see these kind of things to in my home after my father and mother died but they have now moved on to their new life in the spirit world, i think they just wanted me to know they were alright. Thanks for your kind words John. I'm glad to be back writing again and I really get into writing about the paranormal because it really interests me. I appreciate you John. One of the best Hubs I've ever saw on here. You CHG are a wonderful writer and this one gave me the chills. I also have seen Robert the Doll in person though I did not hold it nor would I want to. Again I've got to let the cat out of the bag. Crazyhorsesghost is a very talented writer who is also a great friend of mine. To those of you who don't know I'll tell you a secret. Crazyhorsesghost and Thomas Byers who wrote for the New York Village Voice in the 1980s is one in the same person. He is one of the most talented writers of our time. You see I can say that because until a few years ago I was the editor of that same publication. Thanks CHG for another wonderful Hub Page that needs to be read. Good luck with this one.